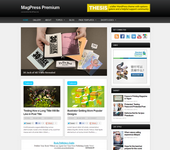 GreenMild is a 4 columns fluid width WordPress theme developed by MagPress.com. This flexible width theme comes with an easy to use theme options and addon features such as featured content slider, latest posts from category from thumbs, built-in related posts on single post view, Adsense ready, Twitter ready and more. Nice theme I’m gonna use it on my next site. 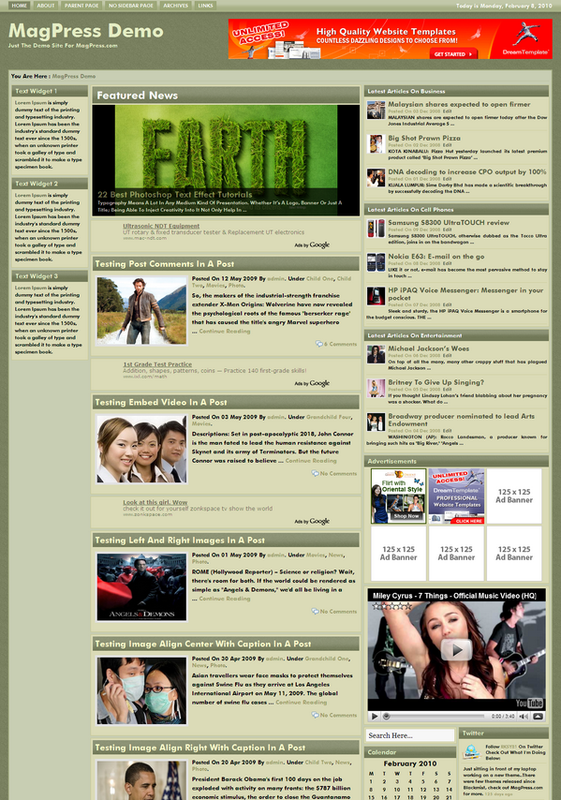 I loved the layout and design of the site. Share it to each other is my current website and I am constantly conscious of it’s design factor. Thanks. Very useful template. I’m sure gonna using it for my new website. Best of the best! Thank you men! The theme unrealgood! I want to buy the theme, but no place of purchase. Please use the contact form to reach me regarding this matter. Thanks. Where do I change the page tabs? Color, images? I have a banner I would like to use has my header. how would i do that? Hai. Do you mean you want to put a big banner covering all the header space?